Welcome back for our second week into the One Room Challenge! 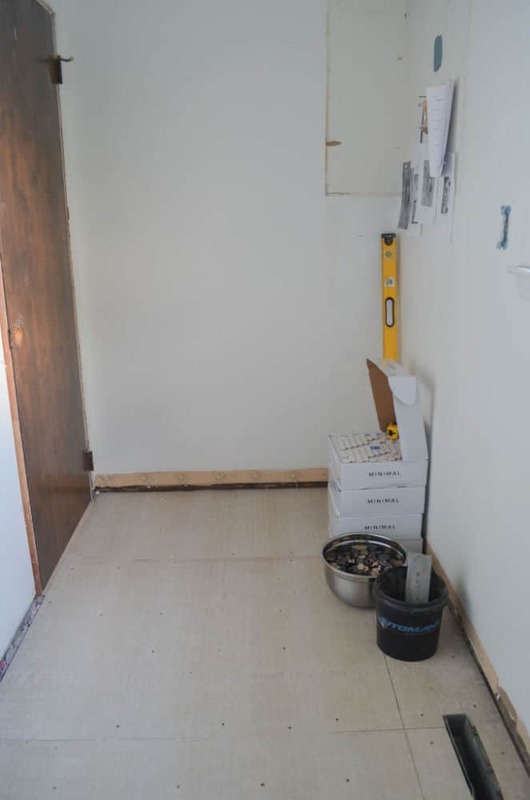 We were really hoping to be further along with the pantry room flooring, but as Murphy’s Law would have it, we ran into a little problem with our special order tile that set us back on our timeline by a week. I’ll explain all of that shortly. All we were able to do this week is finish painting the walls, putting the cement board down and work on the diamond pattern for the hexagon tiles. 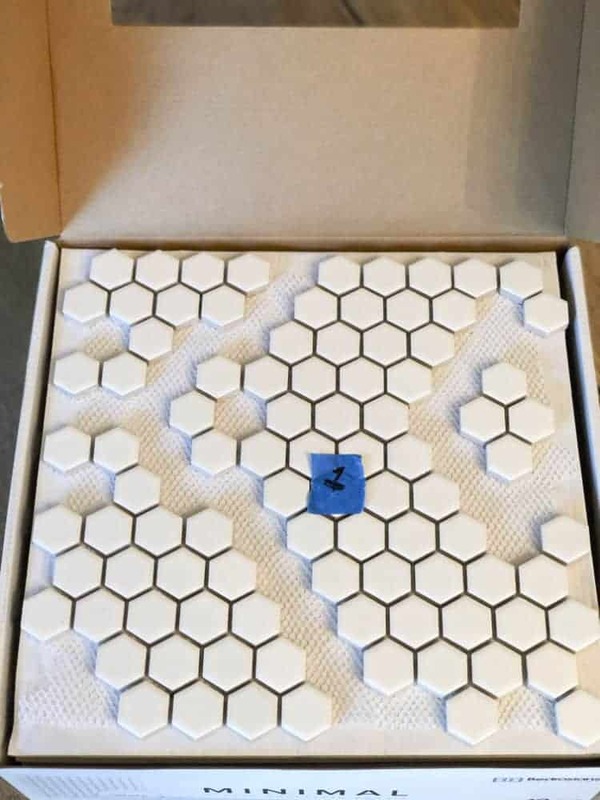 The tile I purchased is Bedrosian’s Minimal Hexagon tile in matte white and matte black from Lowes. The black tile has a slight metallic sheen to it, which I love. I ordered enough tile to cover the square footage we needed plus 10 % overage. I didn’t realize there was a difference with what I ordered and what I received until I got home. On Lowe’s website, it said that each box of tile covered 9.40 square feet but the boxes I received said 8.60 square feet. 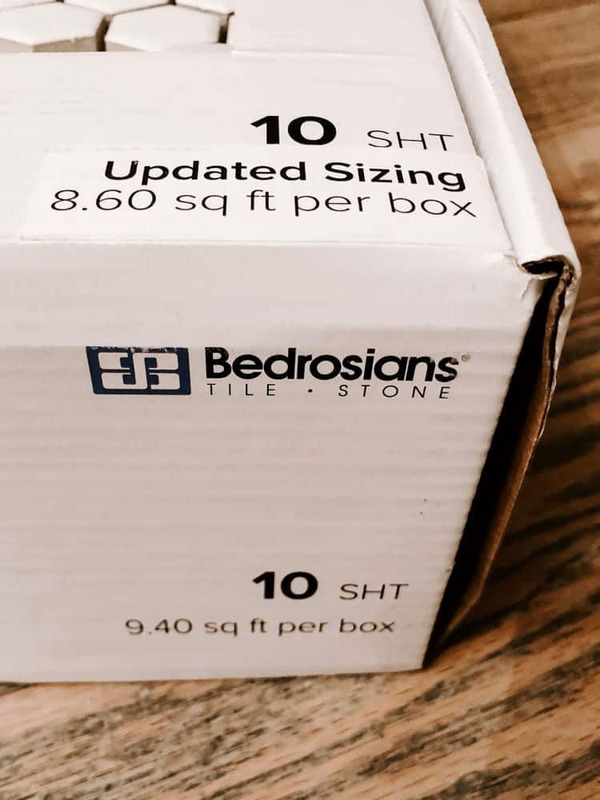 The manufacturer had updated the sizing to be almost a whole square foot less per box but that change wasn’t reflected on the website. Not a big deal since all it took was a phone call to let them know the discrepancy. Fortunately, Lowe’s customer service and the tile manufacturer were super easy to work with and they’re sending us a box of each color this week. We still had plenty to do since the most time-consuming part of our floor is making the pattern. We decided to change the pattern just a smidge so it would fit better within the three-foot-wide walkway between the wall and the pantry cabinets. If we’d gone with the original pattern from my mood board, the diamond would’ve been about 21 inches across by 25 inches long. With the new pattern we came up with, the diamonds are about 16 inches across by 15 inches long. 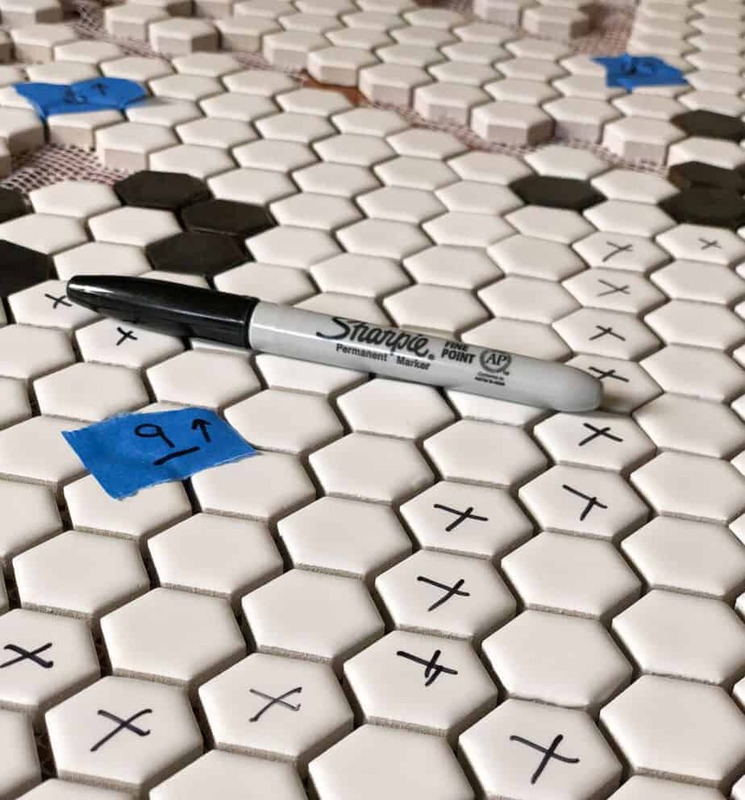 Once we had an idea of the design, we laid out the sheets of white mosaic tile on the floor and marked our pattern with a Sharpie. The ink comes right off with alcohol if you make a mistake. Then, we removed the tiles we marked from the mesh. I’m surprised we both don’t have blisters on our fingers from removing the one-inch white hexagons to make room for the black ones. But, it’ll be worth all the hard work because the diamond tile pattern we’re making will be something you don’t see very often. 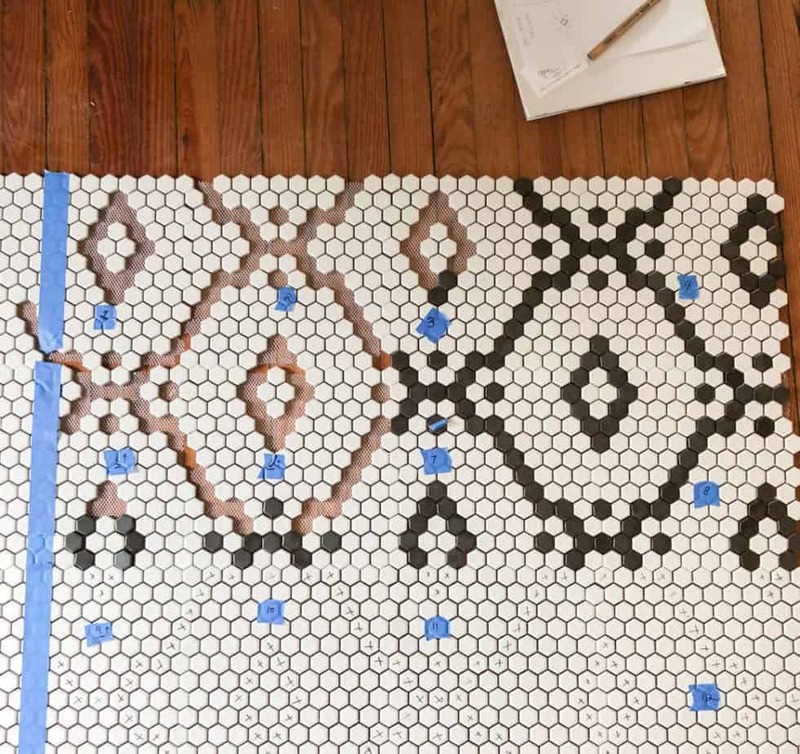 It will also fit in well with our home that was built in 1915 since black and white hexagon tiles were very popular in the early 20th century. 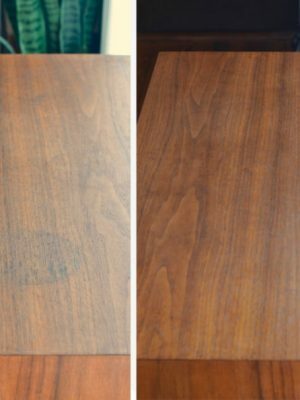 Classic materials never go out of style! There’s a separate bowl full of black tiles we took off the mesh sheet ready for when we install the white mosaic tiles. Since we’ll be running the tiles slightly below the cabinets, we only need to cover a 3 foot by 10-foot area. The strip of painters tape is where the long row of lower pantry cabinets will start. Once we finished removing the white tiles, I put the numbered sheets back in the boxes in the order that they’ll be installed. By this weekend, we’ll have our hexagon tile installed and start building the pantry shelves. I’m like a kid on Christmas eve! I will be updating you every step of the way while we turn our old bathroom into a pantry. I can’t wait to share how the design plans come to reality! Love the tile pattern! 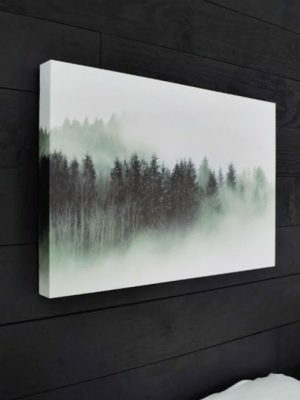 I haven’t been brave enough to do something like this in our home yet – but I love how it looks 🙂 All that work will be so worth it in the end! Love your tile planning and tutorial. Well worth the effort! 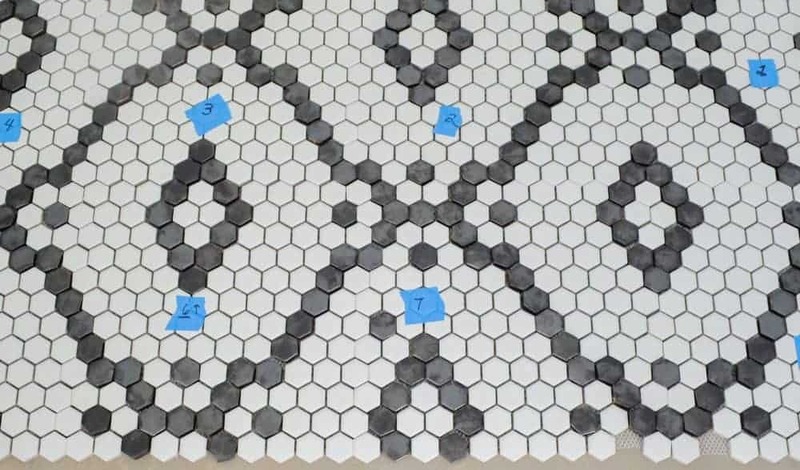 That tile pattern looks AMAZING! Hey Tricia! This is going to be amazing when you are done!! 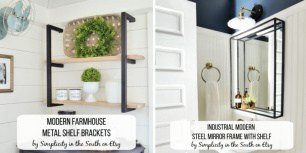 I am also in the ORC this spring (pursuitofhome.com) and own a 100+ home which we love! 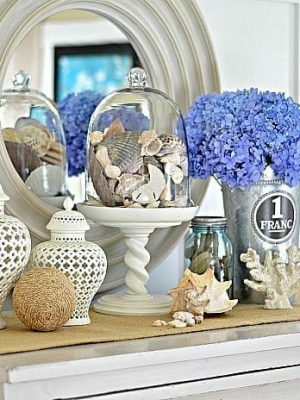 I feel like we are design sisters and I understand your desire (and sometimes struggle) to maintain the style of the home but keep up with modern times and amenities! I can’t wait to see your your progress. Holy cow, that is dedication!!! It is so beautiful though — well worth any potential blisters, ha.